Good schools, public parks, reliable transit, and smooth roads help increase well-being and make a community prosperous. Together, we pay for these fundamentals through state and local taxes. How to collect enough revenue to pay for these investments - and how to collect that revenue fairly - are questions that every community, including our Commonwealth, must answer. 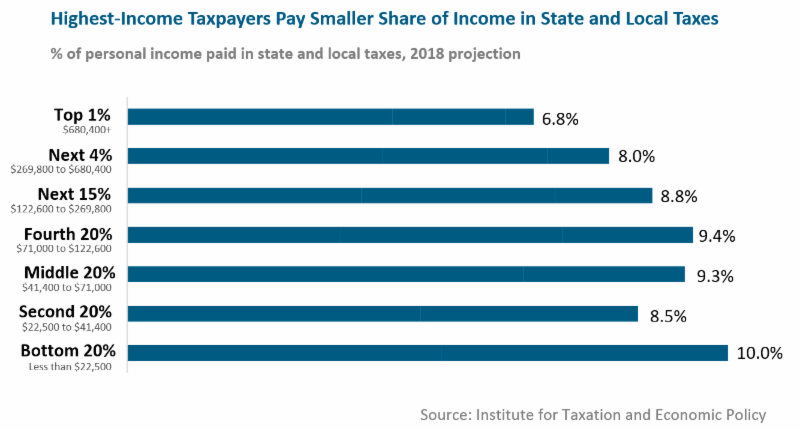 Massachusetts' state and local tax system remains "regressive," meaning low- and moderate-income taxpayers pay a larger share of their incomes in taxes than those with higher incomes. A "progressive" tax system is one in which higher-income taxpayers pay a larger percentage of their incomes in taxes. A new Massachusetts Budget and Policy Center (MassBudget) paper, 14 Options for Raising Progressive Revenue, explores ways the Commonwealth could make its tax system more progressive. Business tax options, like enacting a surtax on companies where CEOs' pay rates are excessively high compared with median worker pay rates. Read a PDF version of the report.